1. High efficiency oil separating system. 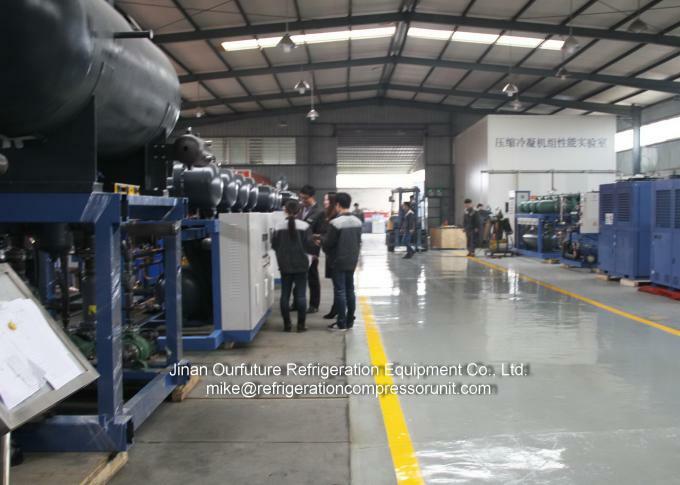 When power is on, there is no need to add lubricating oil, the standard provided oil heater (for screw unit), oil temperature controller (for screw unit) and oil level switch (for screw unit), etc. can protect the function. 2. 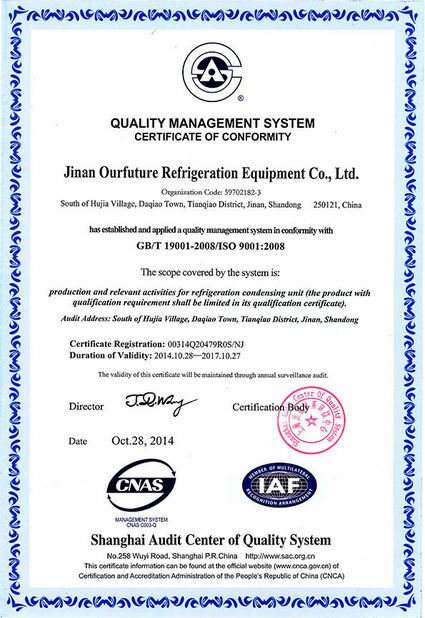 The PLC controller is a standard provided component. 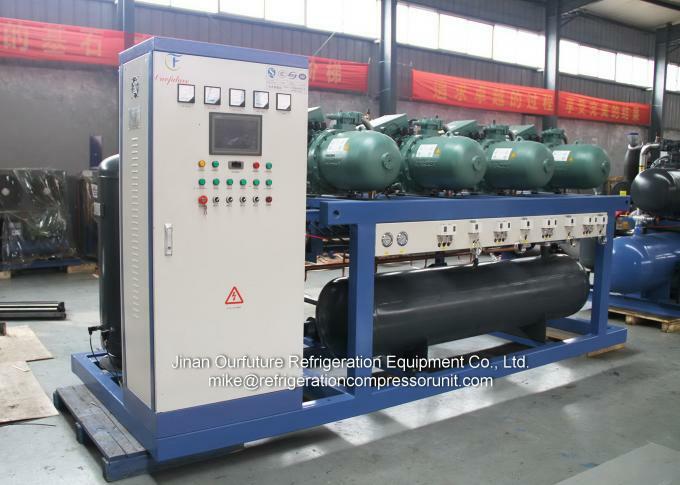 It can automatically decide the compressor quantity to be used based on actual need of refrigerant capacity, average the running time between each compressor, save the power. 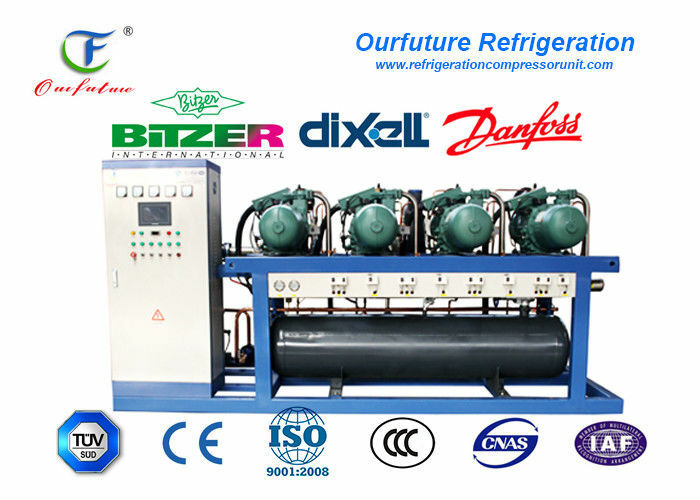 All of these will guarantee an over 30% longer usage than single compressor condensing unit. 3. It has a unique low environment condensing pressure monitor system which guarantees a stable functioning when there is a low ambient temperature, lack of oil feeding or oil flow warning. 4. 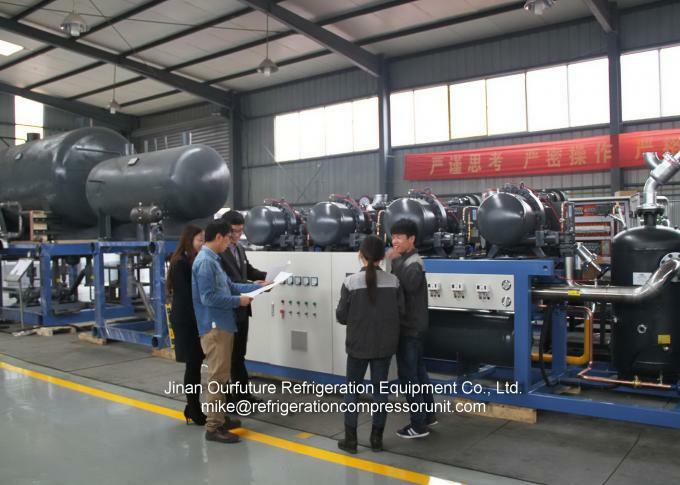 High efficiency gas liquid separator is used, with a unique pipeline design, it can effectively minimize the possibility of liquid strike. 5. 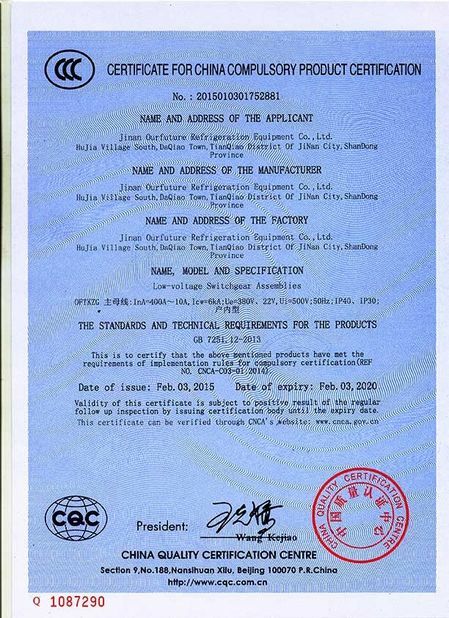 The "Pressure Vessel Certificate" approved reservoir is provided as well as the safety relief valve. 6. 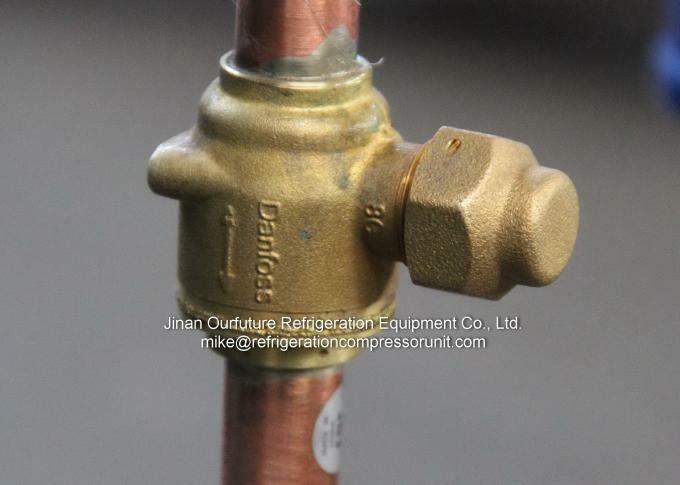 Fault isolation device is served so that when a certain compressor breaks down, the rest of the unit can keep running appropriately, making sure that client has enough time for repair and replacement.